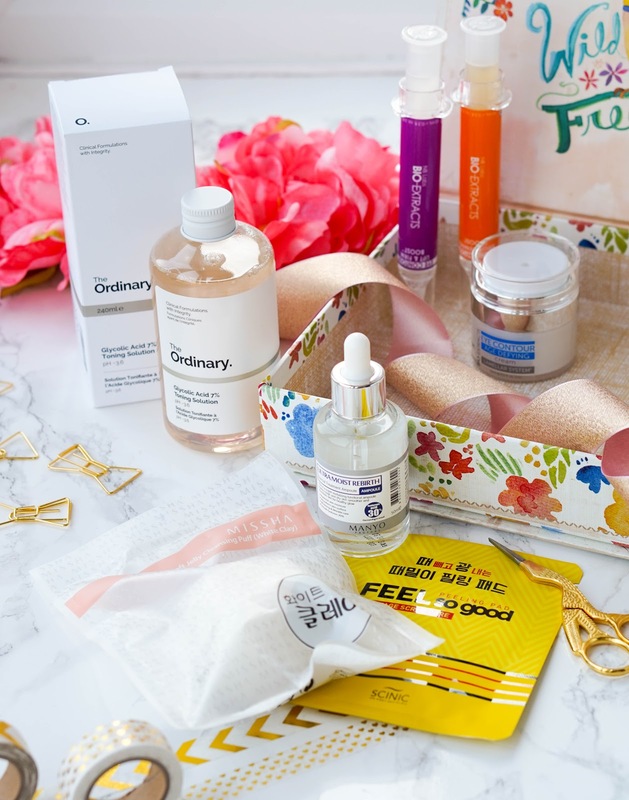 I'm back again with new skincare goodies to try out for summer. I've only had the products here for a little while, so this is more of a first impressions post, but I wanted to share my thoughts regardless. Most of the brands here are completely new to me apart from The Ordinary, which I have tried a couple of items from (mostly makeup though). So let's get started..
First up I've got a couple of items from a new Korean Beauty website, Bloom Skincare, which focus on providing Asian beauty products with natural, gentle, guilt free formulations. I'm still quite new to the Asian skincare but as always eager to try more since it's becoming quite the hype in the blogging community. 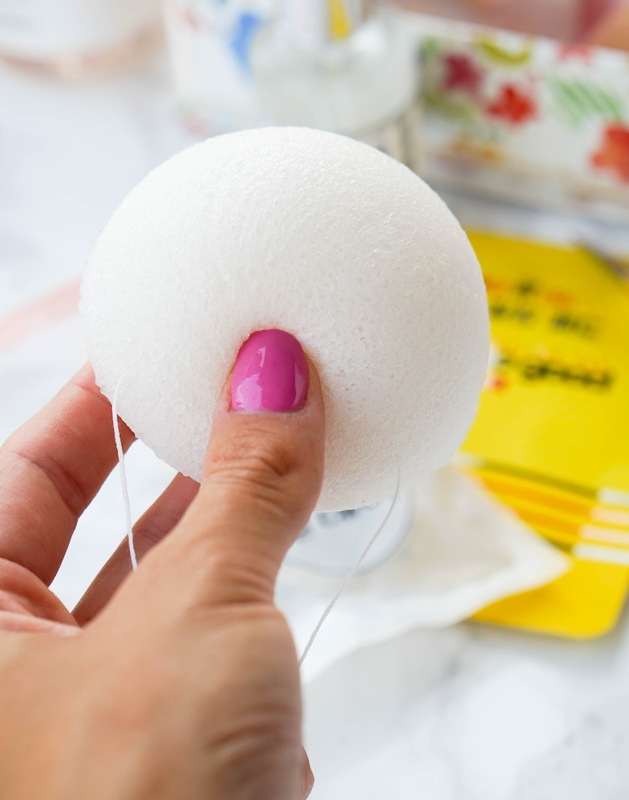 Firstly I was sent the Misha Natural Konjac Cleansing Puff in White Clay*, which as you can see is a jelly cleansing puff that helps to exfoliate your skin in a natural and more gentle kind of way. I was surprised that the sponge was already damp when I opened the packet and loved that it felt super soft against my skin. Kaolin also known as the white clay is traditionally used to nourish and soothe the skin whilst also removing dead skin cells. I've been using this with my regular cleansers, which is great for a deep cleanse and leaves my skin feeling super smooth. The only thing I would say is to make sure you store it somewhere where it can dry out completely, to avoid bacteria built up. Next up I've got the Feel So Good Peeling Pad* which is individually packed and essentially helps to remove impurities and dead skin cells. The double-sided pad is pre soaked in plant derived cellulose and lactic acid, so it contains AHAs & BHAs to brighten the skin and leave skin looking radiant. You need to use the white side first which is cotton and super soft. As you massage this into the skin you will immediately start to notice how the product starts to clump up (whilst supposedly picking up dead skin cells at the same time). I do feel like a lot of the clumping was just the actual product rather than my actual skin cells. You are then supposed to use the yellow side, which is micro fibre, so it helps you to remove the product from your face and exfoliate the skin further. I did notice that my skin felt smoother and brighter overall, once I rinsed off with warm water. But for me personally it was just a bit too gimmicky in a sense and it was quite messy too, so it's not something I would think of repurchasing in the future. 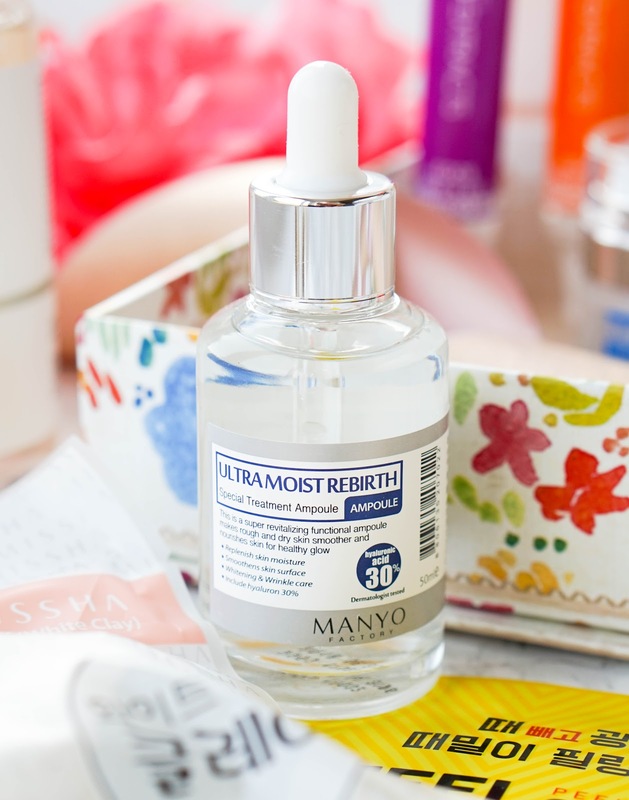 Lastly I've got the Ultra-Moist Rebirth Ampoule Essence* which aims at deeply hydrating the skin. It contains 30% hyaluronic acid in the form of sodium hyaluronate and trehalose. This means it has only high quality plant water ingredients instead of filler ingredients like glycerin and water. This texture of this feels quite think & creamy, so if I apply it on its own I find that it leaves a tacky feeling behind. I always follow up with moisturiser on top though, which resolves the issue. I've found that within a couple of days my skin already feels plumped up and almost bouncy, which means that it's definitely helping with my dehydration levels. So far I'm impressed and excited to continue using it, for even better results with time. 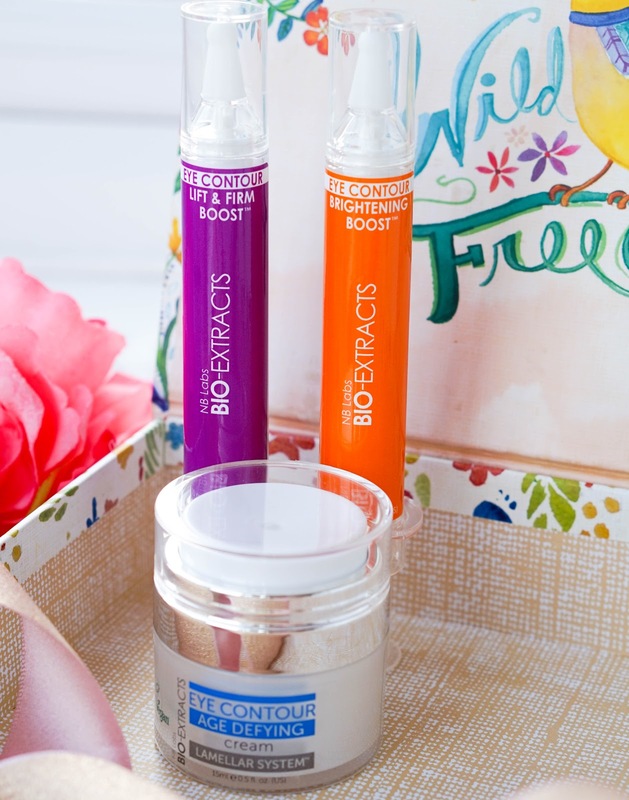 Next up I've got the Bio-Extracts 3 Piece Advanced Eye Contour Collection* which I am excited to start using, since my eye care is pretty much non-existent. I believe this set is exclusive to QVC and it's quite reasonably priced too. This trio is all about targeted treatments to hydrate, firm & brighten the delicate eye area. It comes housed in a sleek white cosmetics bag and I just adore the fun, scientific kind of packaging. 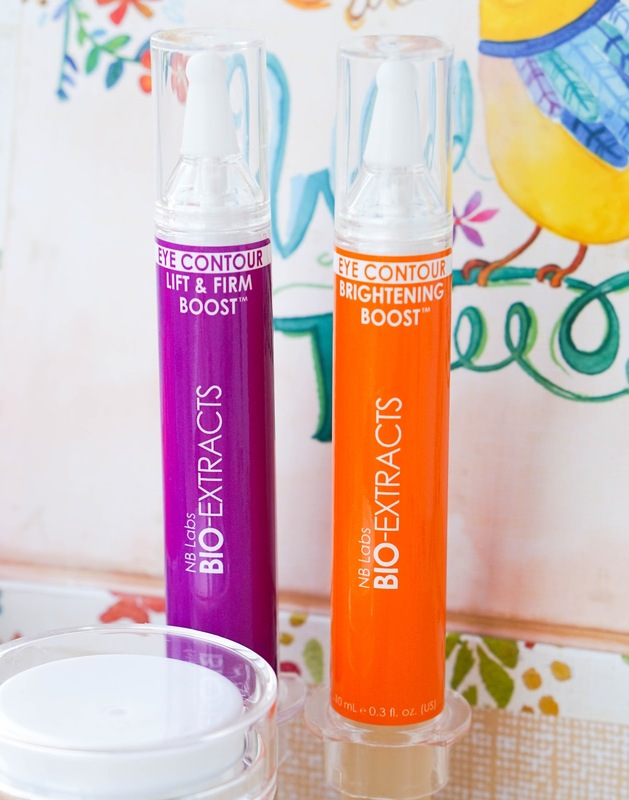 All three products feature the Bio-Extracts Multi-Lamellar System, which is basically a new technology that mimics the skin's natural layers and structure. Therefore it acts like a barrier to the skin and it helps to not only restore hydration but prevent further water loss. The technology is quite smart overall and there's some big claims made, so I am excited to finally have a proper eye care routine and hopefully see some improvements. 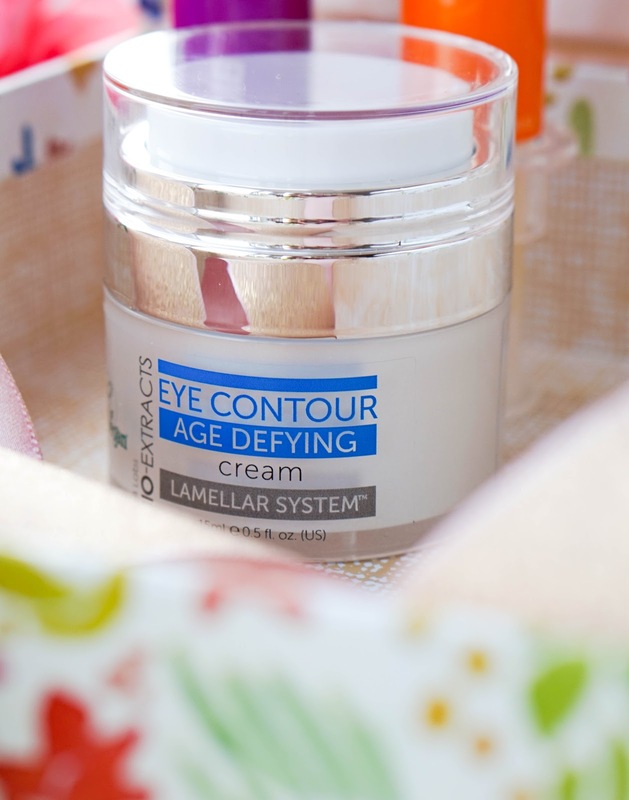 So how the set works is that you've got the Eye Contour Age Defying Cream (15ml) which you can then customise with your preferred eye contour boosters. 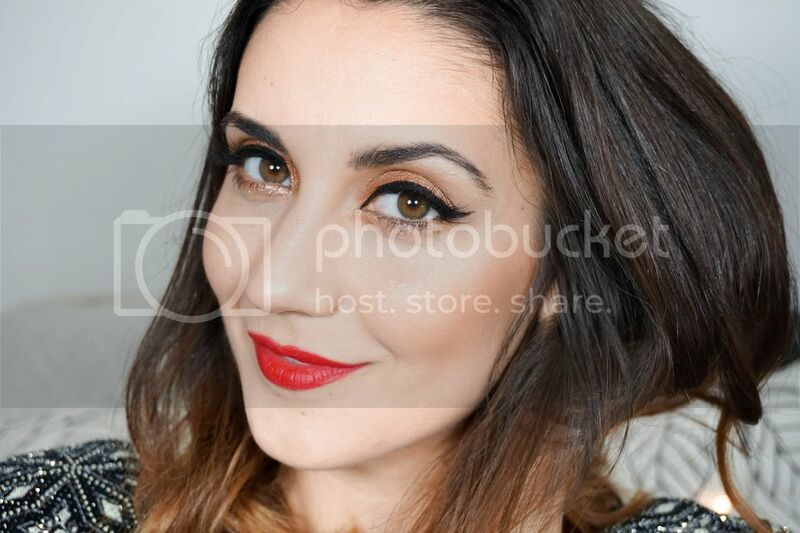 You do this by dispensing 1 - 2 pumps of your chosen booster on top of the eye cream and then mixing it together. I really like the idea of this and it kind of makes the whole process more enjoyable. The Eye Contour Brightening Boost (10ml) is the one I've been reaching for the most as I'm always eager to target my dark circles. There's also an Eye Contour Lift & Firm Boost (10ml), which focuses on targeting visible signs of ageing and smoothing out fine lines and wrinkles. Last but not least I've got The Ordinary Glycolic Acid that I waited 4 weeks to receive, no joke. I pre-ordered this at the same time as the new foundations and it was a long time until it came back in stock but it's finally here now. I've become quite fond of using products with glycolic acid in them, as it really helps to keep my skin's texture feeling super smooth and soft. For the affordable price this version from The Ordinary contains 7% of glycolic acid, amino acids, aloe vera, ginseng and Tasmanian pepperberry. It's recommended to be used daily, since the Tasmanian pepperberry helps to reduce any kind of irritation that may be associated with acid use. The aloe vera also helps to soothe the skin further, whilst ginseng is great for adding radiance. I've only been using this for a week, so I can't comment on the long term results, but so far I'm really enjoying it. I use it in the evenings as recommended before applying my regular facial oil and it feels quite refreshing. Overall it's pretty similar to Pixi Glow Tonic, which has now gained cult status.. the only difference is that it contains 7% glycol acid compared to the usual 5% and of course it's much cheaper too. 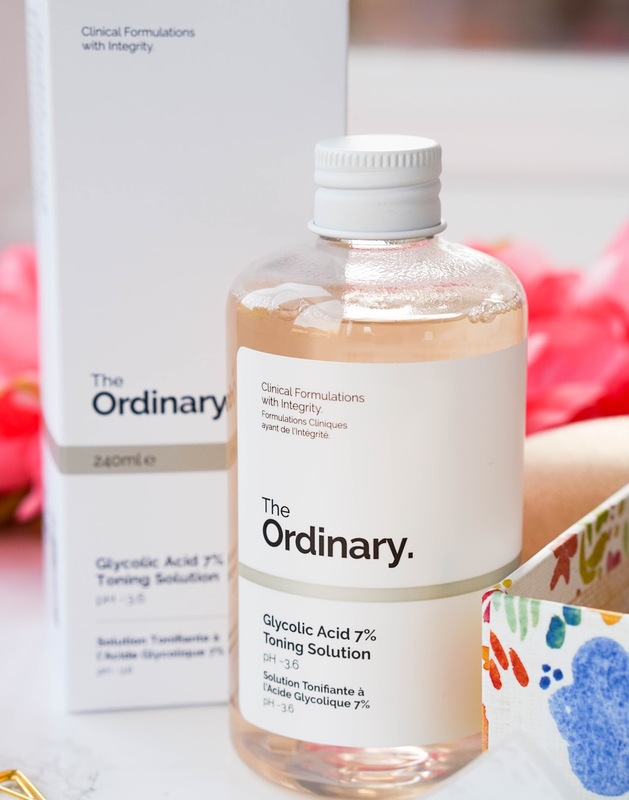 If you're interested about introducing a gentle exfoliating acid like this into your skincare routine, then you really can't go wrong with this option from The Ordinary. So that's it from me and another skincare post, what can I say I'm forever trying out new skincare products. I'd love to know if you've tried any of the brands or products here... if you have let me know your thoughts on them please!